Struggling to find a way to make learning those dreaded spellings fun? Some children find it difficult to remember their spelling words and, let’s face it, learning lists of spellings is hardly the most enjoyable way to pass the time for you or them. 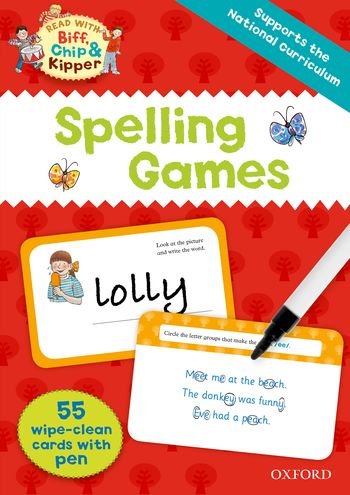 If you are looking for some fun spelling ideas, then look no further… these games will help your child to learn those spelling words and enjoy it in the process. The old ones are the best! Playing games that help them to recognise the spelling words on sight can really help. The more they see a word the more familiar it becomes and the more likely they are to remember it; if they can visualise it, they are more likely to spell it correctly. Print and cut out the words your child has to learn. Draw out a bingo board and write some of the spellings in the boxes. This works best with more than one player, so see if you can rope in someone else to play. Every time your child ‘gets’ a spelling word, go through the spelling together and then cover it and ask them to spell it again. This classic memory game is a great way to get them recognising and remembering words. Draw or print a word grid and write each spelling word in a new box. You will need to write each word twice (each in a separate box). Cut them out, making sure you have two of each spelling word. Then turn them over and mix them up, ensuring they are organised randomly. Challenge your child to turn over two pieces of paper and then read each word. Are they a pair? If not, turn them back over and repeat this until they find matching pairs. Once they have found a pair, look at the spelling together and then ask your child to spell the word without looking. There is a classic mnemonic to help children remember how to spell ‘because’: big elephants can always understand small elephants. Make up your own silly mnemonics together to help your child remember tricky words they struggle with. Record your child spelling out each word on your smartphone or tablet. When you practice them, ask your child to write down each spelling word and then play their own voice reading it back to them. It’s amazing how much this amuses and motivates them. 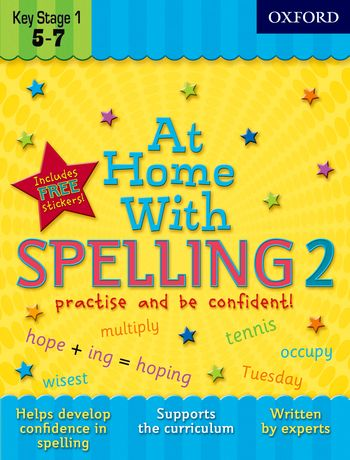 If your child is competitive, see if you can motivate them by introducing an element of challenge to the world of practising spellings. Using your stopwatch on your phone, time your child as you call out the spelling words and they write them. Make a note of their time and score and then on the following day, challenge them to smash their personal best. Our wonderful Oxford Dictionaries for Children editorial team provided the levelled words and content for the The Big Spell show on Sky 1, including over 3000 words, definitions and example sentences from our corpus database. We also provided expert adjudicators for the filming of the show. The Big Spell started on Sky 1 at 5pm on Sunday 8 January 2017. Help with spelling – including information about spelling at school, and free activities. Videos: Grammar, Punctuation and Spelling made easy. A fun activity workbook for children, aged 5 – 7 years, to do at home. This first book focuses on recognizing vowels and consonants, recognizing syllables, prefixes and suffixes, and developing strategies for remembering how to spell hard words. Comes with stickers to reward your child! This second book helps further build you child’s confidence, focusing on recognizing common word structures and spelling patterns, knowing when to use double consonants, long and short vowels, and decoding unfamiliar words. Read with Biff, Chip and Kipper Spelling Games wipe-clean flashcards with pen are a fun way for children to develop their spelling skills, and they support the way children are taught to write at school. 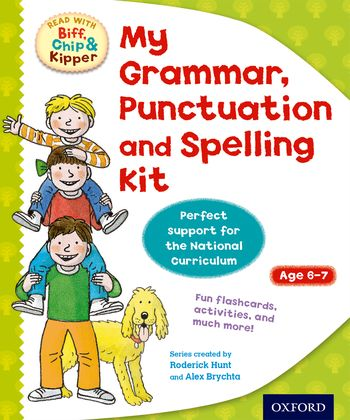 These fun spelling games have been specially created to support the National Curriculum and complement the Read with Biff, Chip & Kipper My Grammar, Punctuation and Spelling Kit. This set of 55 cards includes support for parents,fun games and useful tips for using the flashcards. 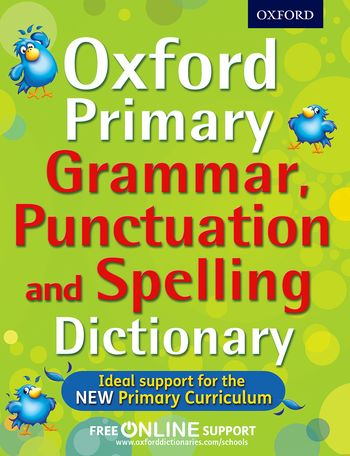 This essential primary guide to grammar, punctuation, and spelling has a clear, colour layout and is fun to use. The first part provides a reference section of simple rules, tips, and examples to improve literacy skills for the test at the end of primary school. The second part is an easy-to-use alphabetical word list of common tricky words. 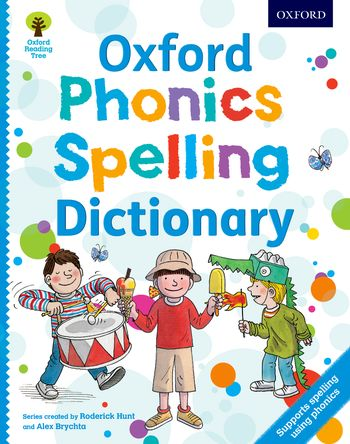 This list highlights, using analysis from the Oxford Children’s Corpus, words that are most frequently misspelt by this age group (age 8+), to target and rectify these common mistakes. 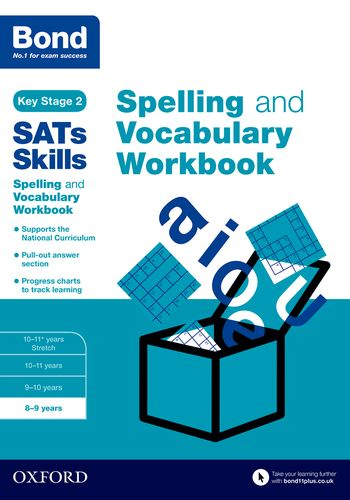 Developed with Oxford Dictionaries, these workbooks are designed to help establish competent spelling and the confident understanding of the words expected by National Curriculum tests.